November is set to be an important month for vocational education and training. 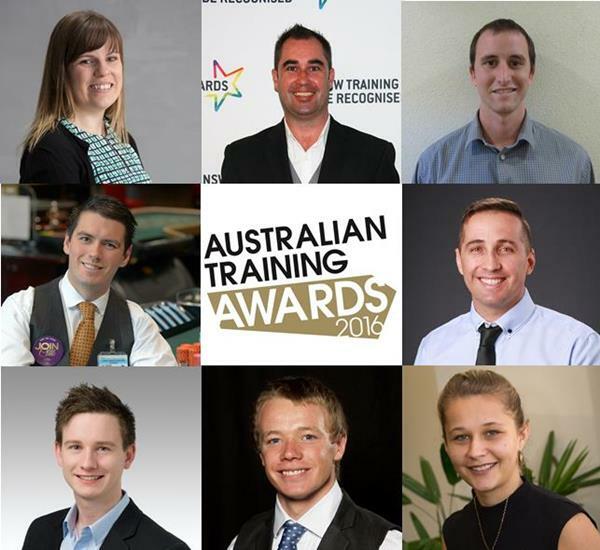 The Australian Training Awards provide the perfect opportunity to celebrate our diverse and dynamic sector. They recognise individuals, businesses and providers who represent the best of what VET has to offer. 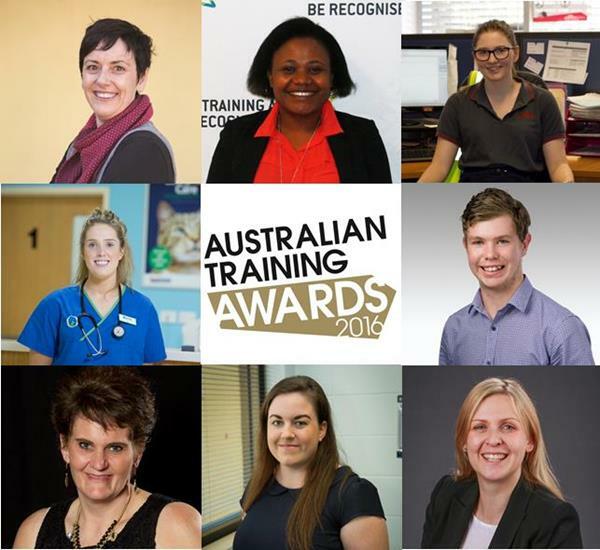 All Awards finalists and nominees highlight the remarkable contribution of VET to the skilled Australian workforce that drives our productivity and ongoing economic development. Of course, these are just some of the impressive contributions made to skilling Australia by those involved in VET. 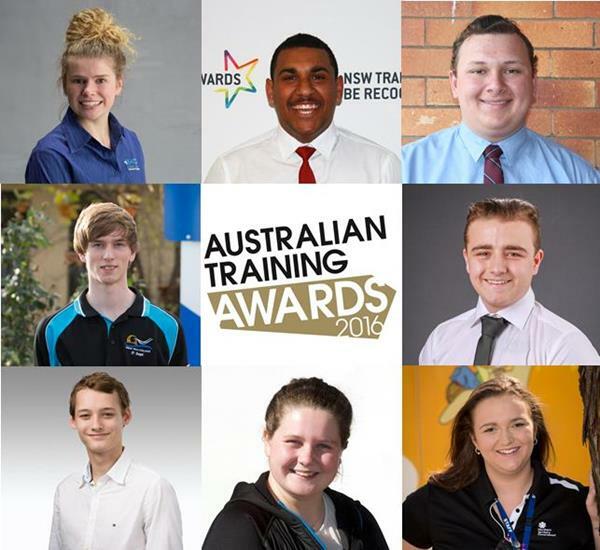 While we celebrate Awards winners, there are thousands more everyday success stories in vocational education and training every year. The day after the Awards, I will chair the skills stream of the Council of Australian Governments Industry Skills Council. The Council brings together ministers from the Commonwealth, states and territories to discuss key issues facing the VET sector and reflects our shared approach to the national training system. At our last meeting in April 2016 discussions covered four priority areas for ongoing enhancement to the national training system: industry responsiveness; funding; data; and quality. We will be discussing progress on these priorities and the next steps when we meet on November 18. It is of particular importance to me that we continue to improve quality and enhance the status of VET. This was a central theme in a discussion I had with over twenty Australian Apprentices at the Australian Apprenticeships Roundtable I held on 13 October. Current and former apprentices and trainees shared inspiring stories about the power of VET to provide opportunities for employment and skills development. They also highlighted the barriers that can be faced when undertaking vocational education, including the perceived status of a VET pathway as compared with other tertiary training options. I am committed to continuing to lift the status of VET and appreciate the positive ideas provided by the apprentices, who play a very important role in promoting the VET system, both in their local regions and more broadly through the Australian Apprenticeships Ambassadors program. The Turnbull Government’s new VET Student Loans program is scheduled to commence from January 1 next year and is a significant step towards restoring confidence and integrity in vocational education and training now that the Government has put a stop to the significant issues caused by the previous VET FEE-HELP Scheme. I am looking forward to another busy month ahead and a great future for VET. 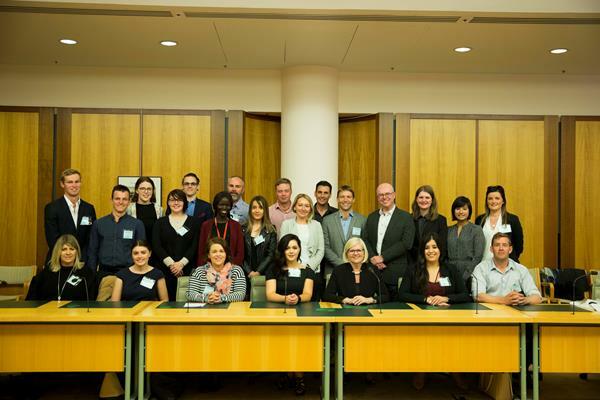 Picture: Minister Andrews with Australian Apprentices at the Australian Apprenticeships Roundtable on 13 October. The Australian Government Department of Employment released a Request for Proposal on 25 October 2015 on stage one of the Youth Jobs PaTH – employability skills training. Applications are now open for training organisations to apply for the Employability Skills Training Panel. Panel members will develop and deliver training aimed at ensuring all young job seekers have the basic employability skills that Australian businesses need. The AusTender notice and Request for Proposal documents can be found here. For more information please refer to the Employment Services Procurement Information website. Article provided by: Australian Government Department of Employment. In the coming months, the USI Transcript Service will be activated. It is expected that the service will be activated via a 2 stage process, commencing with an Open Trial activation during which we will seek feedback from training providers and students. Students – what does this mean for you? Your national training collection transcript will show information on nationally recognised training you have completed starting with training completed in 2015. Future years will be added as time progresses. Here is more information on what will be included. Your national training record will normally be updated once a year. The training you complete this year may not be reported and will therefore not appear in your transcript until early next year. It is important to note that your transcript doesn’t replace the certificates and other documents supplied by your training provider but will act as a backup and will join up records over the longer term. Training Providers – what does this mean for you? It is important to ensure that the training provider data submission is correct and includes a verified USI. Data submitted will be used to generate the transcripts for your students. Here is more information on how transcripts are generated. Students will be contacting you if they have any questions in relation to their transcripts. Errors found in the transcript will need to be corrected within your own SMS and within the national VET database. The USI Office will be providing more information on correction processes to training providers soon. It is important to explain to your students that the USI Transcript Service will not replace the Statement of Attainment or Certificate issued by you. FAQs in relation to the USI Transcript Service and a sample of a Transcript can be viewed on our website. Article provided by: Office of the Unique Student Identifier. The Carers NT Group Recognition program provided formal recognition for the skills and knowledge to assist carers to gain a qualification and prepare them for employment. It is the first of its kind in Australia and was delivered in Darwin this year. The program was supported through the Labour Market Training Program funded by the Northern Territory Government and Human Service Training Advisory Council. This program was formed through a strong innovative partnership, between CarersNT, Response Employment and Training and Crest NT. Having a strong partnership enabled this project to support the carers though the process with minimum disruption and provided an environment for safe and innovative development. Seventeen carers from Darwin graduated on Wednesday 19 October receiving a Certificate III in Individual Support. The graduation took place during National Carer’s Week, at the Darwin Sailing Club where the The Honourable John Hardy OAM, Administrator of the Northern Territory, presented the recipients with their well-earned qualifications. Through this program we have already has seen employment outcomes for a number of the participants, re-entering the workforce or entering the workforce for the first time. For many this would not have been possible without the support and ability to gain a qualification. Article provided by: Training NT, Department of Trade, Business and Innovation. 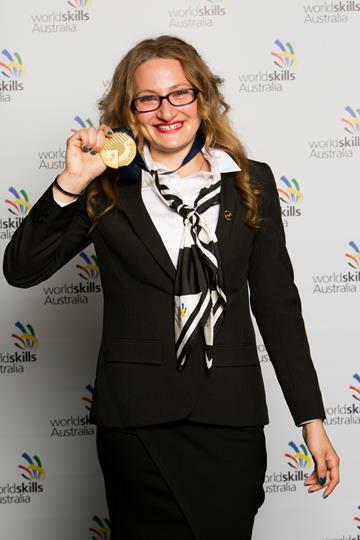 The nation’s best young apprentices, trainees and students from 60 trades and skills have been named at the 2016 WorldSkills Australia National Competition with several women taking centre stage. 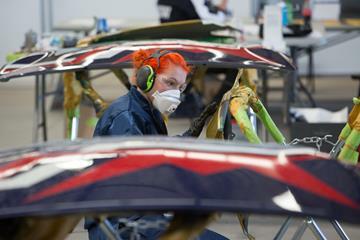 Melinda Lethbridge from Swinburne University of Technology was the first woman to win the Fitter and Turner category; Illawarra mechanic Louise Azzopardi made history, being the first female entrant and gold medalist in Heavy Vehicle Mechanics; and Dusti-Lee Franchi from South Metropolitan TAFE (Perth) won gold in Vehicle Painting. These are all traditionally male-dominated trades, and are amazing results. Supported by both the Australian and Victorian Governments, the competition was held from 6-8 October at Melbourne Showgrounds and was the culmination of months of training for over 500 competitors aged 16-24 years, who earned their spot in Melbourne after placing at their regional level in 2015. 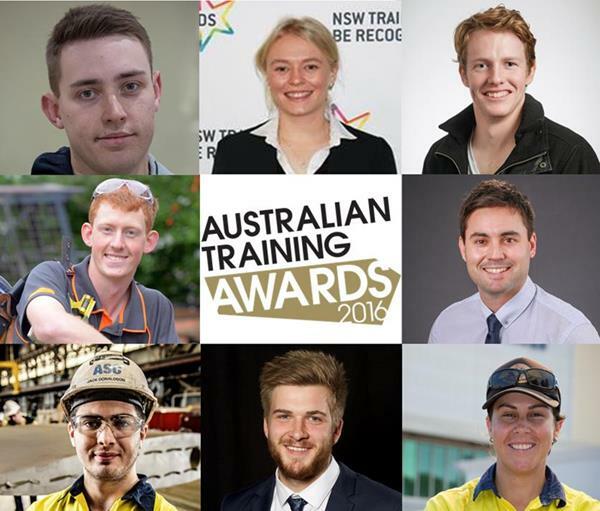 As well as winning in their skill, each gold medalist is invited to become an Australian Apprenticeships Ambassador to help generate awareness about the trades and skills sector. “It was a real celebration of the strengths of our vocational training system, and was a great demonstration of what a skills resurgence would look like,” said WorldSkills Australia CEO, Brett Judd. Click here for a full listing of results and here to see the full range of images. 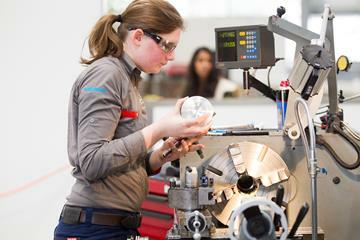 Article provided by: WorldSkills Australia. Melinda Lethbridge concentrating while competing. Illawarra mechanic Louise Azzopardi celebrating with her gold medal after made history, being the first female entrant and gold medalist in Heavy Vehicle Mechanics. Dusti-Lee Franchi working throughout the competition. A new suite of research by NCVER clarifies the definition of STEM competency and identifies the place of VET in delivering the STEM skills required in the twenty-first-century. The research reviews how STEM is defined and reported, finding the VET sector’s contribution to these skills are not understood and underreported due to the broad and inconsistent definitions currently in place. SkillsDMC is pleased to announce that Michael Gill has taken on the role of SkillsDMC Chair. The Skills Oz Board would like to announce that Mr Phillip Charlton has been appointed to the new Executive Director position leading Skills Oz. Mr Charlton will commence working with Skills Oz on Monday 21 November 2016. 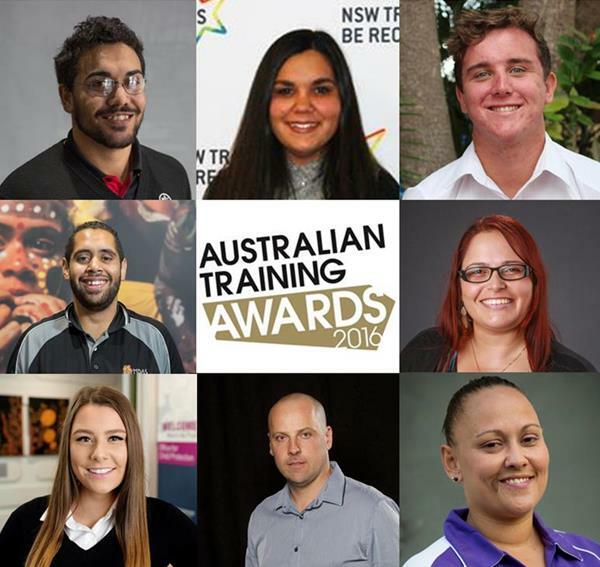 With 17 November marking International Students Day, this month's Faces of Excellence showcases the amazing finalists in each of the student catagories of the Australian Training Awards. We wish them all the very best of luck as they make their way to Darwin for the Awards. Understanding the VET Regulatory framework, and managing compliance can be challenging. Keeping up-to-date with changes in standards and funding contract conditions represent the greatest risk for RTOs. This event puts compliance in action, providing case scenarios, examples of best practices, and an opportunity to interact with policy makers, regulators, and VET experts. Are you looking to establish compliance in your operations and effectively lead your RTO? This event will cover all your needs with regards to Policy, Compliance, and Funding contracts. Visit our website or contact our team on 02 9890 2554 or at info@insources.com.au for more information. This state-wide VET Forum will bring together ACPET members from across NSW with stakeholders from government and industry to evaluate the current state of VET in NSW, and to discuss what 2017 holds for the sector. The Forum will feature a key note address from The Hon. John Barilaro MP, NSW Minister for Skills on the NSW Government's VET vision. Maryann Quagliata, Branch Manager VET FEE-HELP, Department of Education and Training – VET Student Loans Update. David Collins, Executive Director, Training Services NSW – Training Services Update. Brian Tanti, Curator, Fox Classic Car Collection – The importance of retaining skills in the modern age. The cost of this forum is $275 for ACPET Members and $325 for non-members. For more information and to register, please visit. AusAppPathways - this mobile app helps students and jobseekers explore potential Australian Apprenticeships career ideas based on their interests. Australian Apprenticeships Ambassadors video series - has been updated to include our latest NRL Ambassadors. ACPET - view upcoming webinars and workshops. Book an Australian Apprenticeship Ambassador - find an Australian Apprenticeships Ambassador to speak at your next event. Be MoneySmart - this website aims to get you in control of your money to help you achieve your goals. CareerMe app - a free app to help young people plan career paths and find job opportunities. Discover your Career - find a career in Hospitality or Tourism. eWorks – explore the latest blogs. Ideas that Work – LLN videos - an online library of free LLN training and professional development videos. Insources website - provides professional development programs for VET practitioners. SkillsOne - hundreds of videos about getting a trade or a skill. TradePapers app - keep all of your trade documents in one secure location. VET Student Loans - provides information about the new VET Student Loans program commencing 1 January 2017. The VET PD Network - a capable and professional group that provides public and in-house professional development workshops to RTOs and the VET sector. Velg Training – PD and consulting services, Live Streams, Webinars and Workshops. VOCEDplus – the latest research on the VET sector. If you would like to provide feedback, supply an article for inclusion in the next edition or join our list of subscribers, please email skillsatwork@education.gov.au. The next edition will be published in December 2016. Submissions are due by Monday, 21 November 2016.